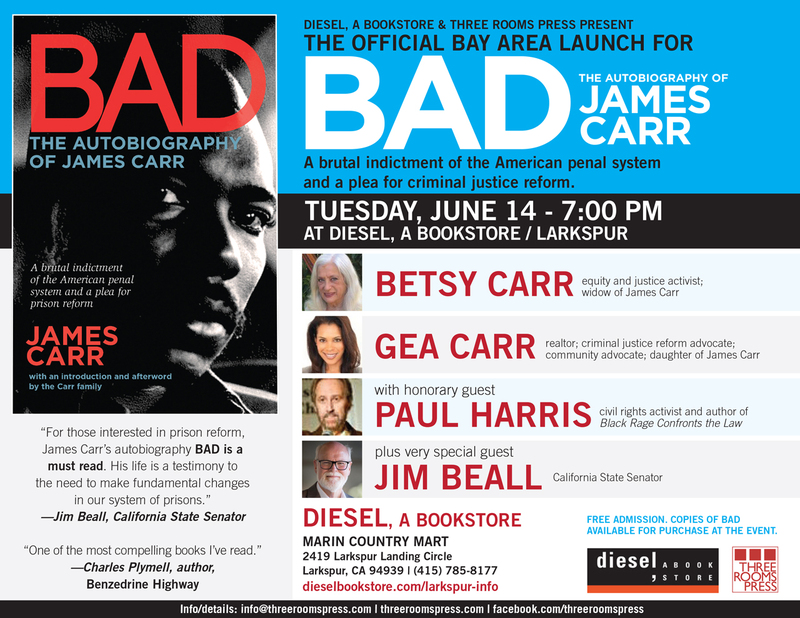 Three Rooms Press and Diesel, A Bookstore: Larkspur present an evening of reading and storytelling at the Bay Area launch of BAD: The Autobiography of James Carr the harrowing, brutal, and unapologetic 1972 memoir by the notorious African-American career criminal who went straight out of Compton to a ongoing cycle of prison terms after burning down his school at age 9. Featured readers include Betsy Carr (equity and justice activist and widow of James Carr), Gea Car (realtor, community advocate and daughter of James Carr), and Paul Harris (civil rights activist; author, Black Rage Confronts the Law). The event will be held at Diesel, A Bookstore: Larkspur (Marin Country Mart, 2419 Larkspur Landing Circle), on Tuesday, June 14 at 7 pm. Admission is free. The event is free and open to the public. Copies of BAD will be available for purchase at the event. For additional information, contact Peter Carlaftes at 212-731-0574 or write info@threeroomspress.com. Jim Beall James “Jim” Beall Jr. is a Democratic member of the California State Senate, representing District 15. He was first elected to the chamber in 2012. He previously served in the California State Assembly, representing District 24 from 2006 to 2012. Beall served on the Santa Clara County Board of Supervisors from 1994 to 2006 and on the San Jose City Council from 1980 to 1994. Since her teens, Betsy Carr is an equity and justice activist. In recent years, she has worked on ecological drives, homeless and affordable housing initiatives, and technology programs for underprivileged communities. Daughter of James Carr, Gea Carrworks a realtor and community advocate in San Jose. She has been a model and professional actor for more than twenty years. In addition, she is an executive member of the Board of Directors of The YWCA of Silicon Valley, on the Foundation board of Abraham Lincoln High School, and is a co-founder of the San Jose Park Foundation’s Rose Garden Home Tour. 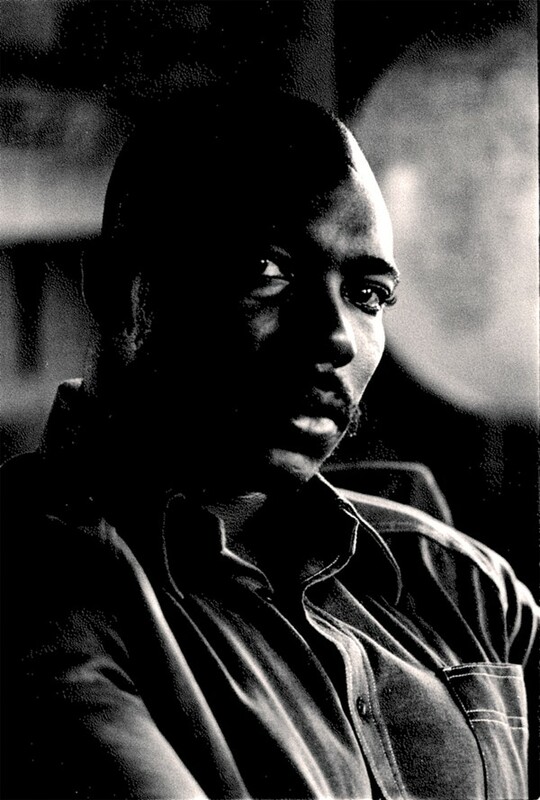 Paul Harris worked with the San Francisco Community Law Collective for sixteen years, during which time he was described as one of the best criminal defense lawyers in America. He is author of the renowned treatise, Black Rage Confronts the Law (NYU Press, 1997), which details the history and reasoning behind this controversial defense strategy, and examines the effect of social and economic hardship and deprivation on human misconduct. A past president of the National Lawyers Guild, he is Charles Garry Professor of Law at New College, a public-interest law school in San Francisco. He received his J.D. from the University of California at Berkeley. Three Rooms Press is a fierce New York-based independent publisher inspired by dada, punk, and passion. Founded in 1993, it serves as a leading independent publisher of cut-the-edge creative, including fiction, memoir, poetry translations, drama and art. In addition, Three Rooms Press produces and promotes a variety of literary and cultural events worldwide, including readings, plays, workshops and concerts. Three Rooms Press books are distributed by PGW/Ingram.